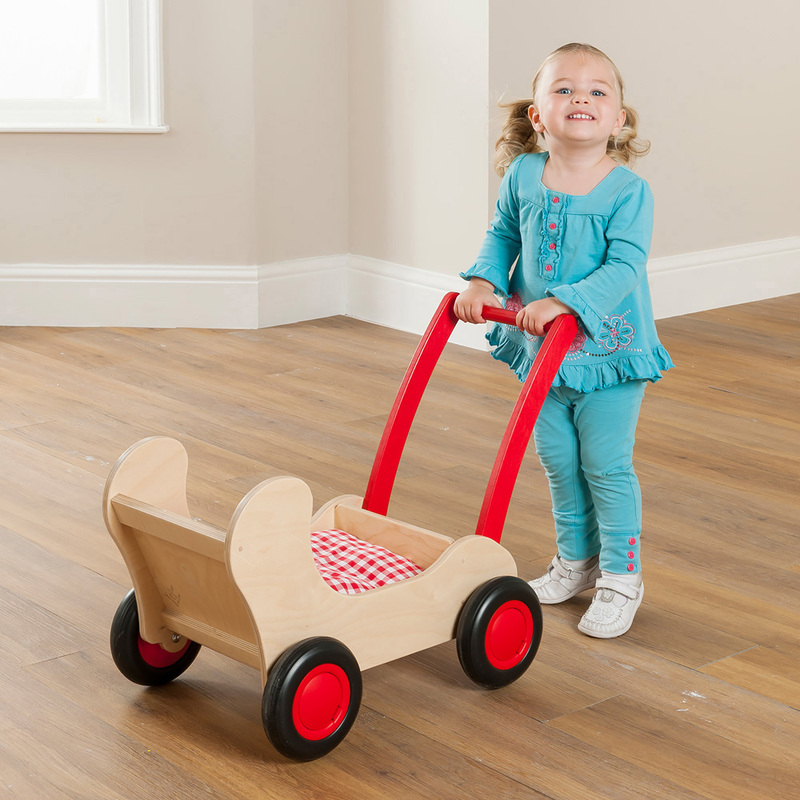 The pram cart is designed specifically with early learning in mind and can be used as a pram, lawn mower, wheelbarrow or anything else children can imagine. 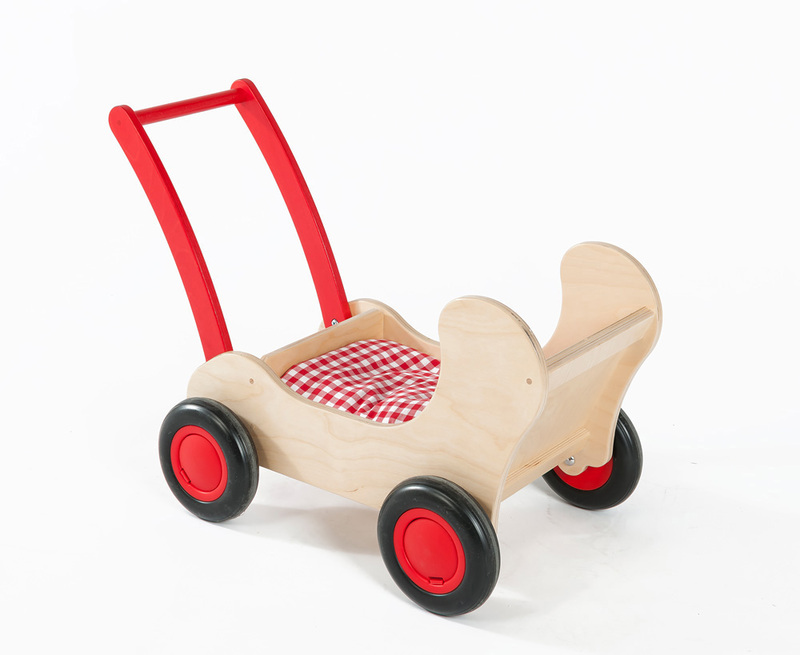 Manufactured sustainably in the UK using durable birch plywood with a child-friendly, water-based lacquer to maintain the natural wood appearance. 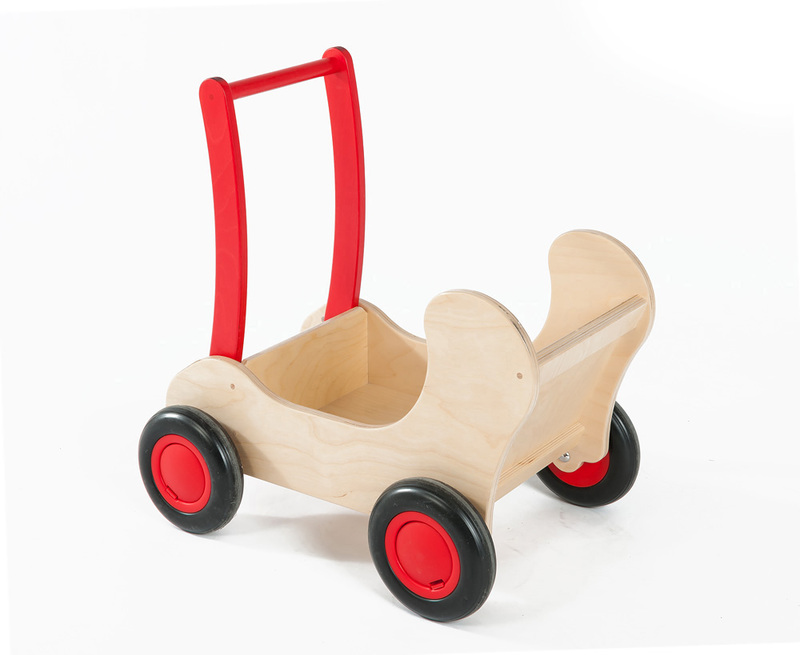 Featuring non-marking soft plastic tyres that roll easily on all surfaces, the pram cart is an ideal piece of wooden play equipment for use both outdoors and indoors at schools and nurseries. The handle is also movable to allow for easier storage when not in use. Please note: The blanket featured in the product images is not included with the pram cart. For more information please Contact Us or call us on 01733 511121.